I have been going to Texas to visit my sister for over 25 years now. Over the years, favorite stores have come and gone. None have been more inspirational than Simple Things. We first visited more than 5 years ago. Deb and I drew a lot of inspiration from this store when we built the 7gypsies trade show booth (what seems like an eternity ago). The store had a wall covered in burlap that we mimicked by dying burlap in coffee that we made with used coffee grounds we got from Starbucks. But that's a story for another day. So over the years, every time I visited, we had to drive over to Simple Things even if it was to just walk around and dream about living in the showroom. 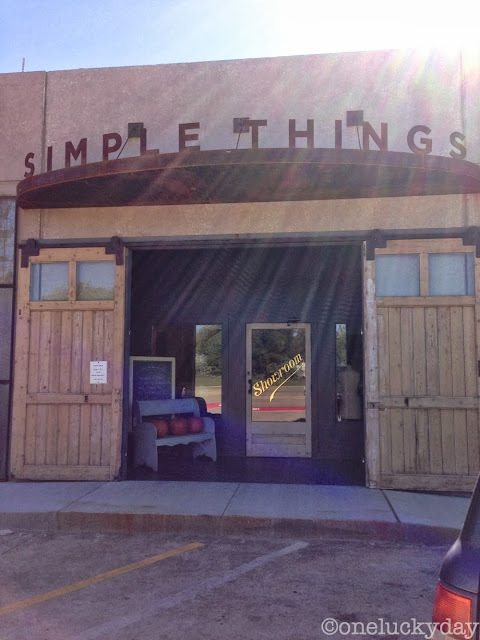 Then a couple years ago, Simple Things moved from the shopping center location to their warehouse, operating on an appointment only basis. Of course, that was terrible for us dreamers. 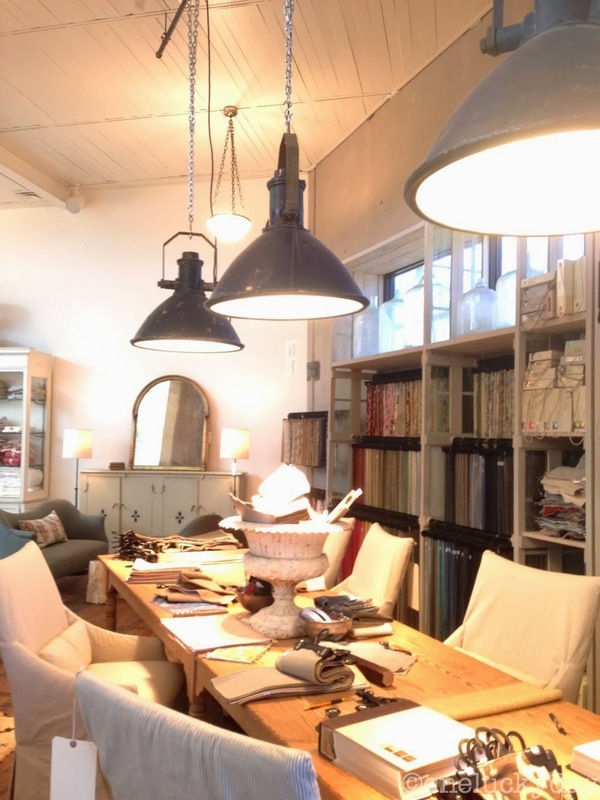 No showroom to wander through and glean ideas from. Be still my heart. This wall was huge and all covered with US Mail bags. 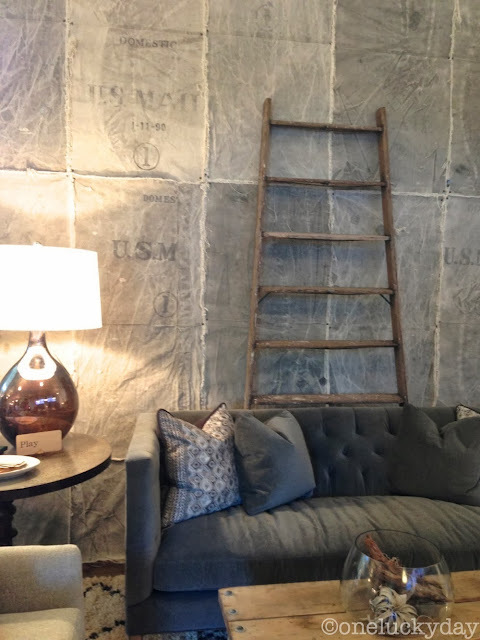 It reminds me of the famous burlap wall we mimicked years ago. 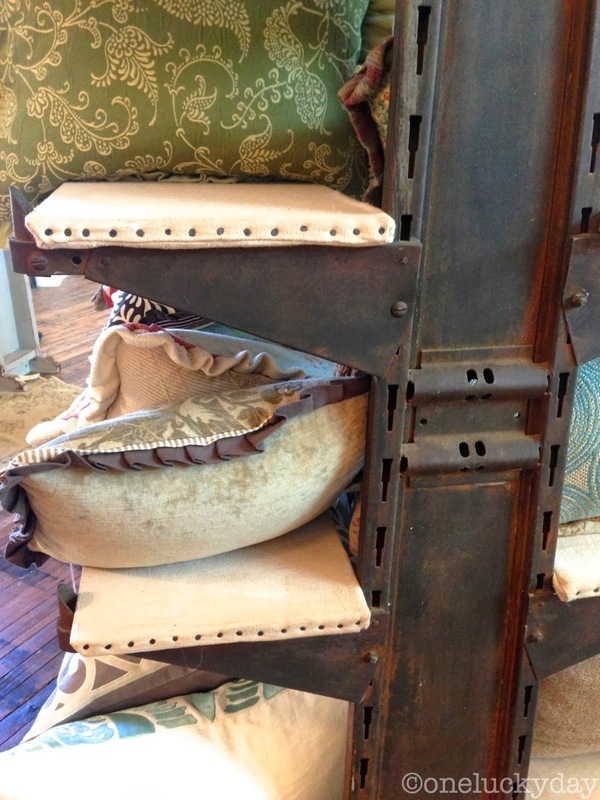 Shelves covered in linen with tacks on the end. My favorite display of the day...so very Texas! Love this sign...and the green lockers, wow what a backdrop. 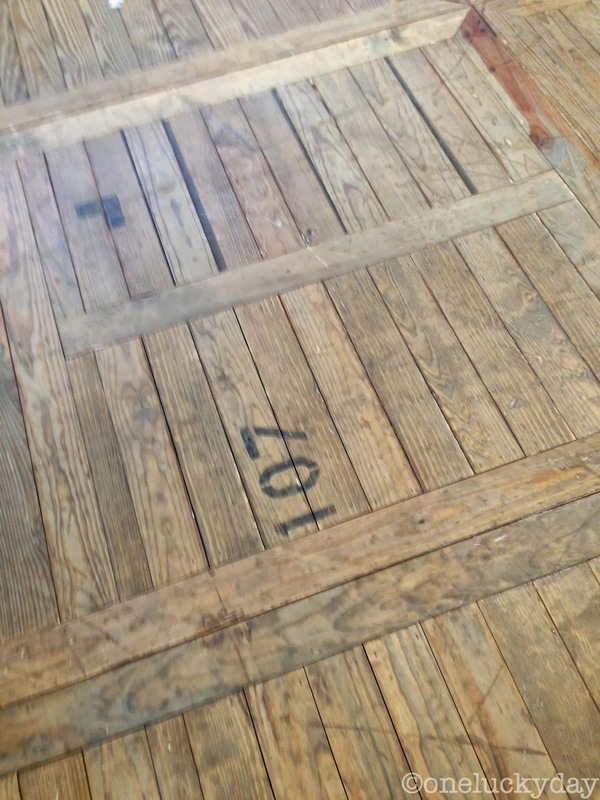 Love the reclaimed wood floors...totally different pattern in some areas, but it all works together beautifully. Some (or many) of these glass bottles may have gone home with me. If you click on the Simple Things link at the beginning of this post, be sure to scroll down and see the transformation of the warehouse, from raising the roof to laying the floors...really inspirational. ps - do you have a favorite store in your area? I would love to know about it and why it is inspirational to you. If you leave a comment by Tuesday at midnight - I will give away some good stuff on Wednesday! See you then, with another of my Texas favorites. How VERY cool! I WISH I had a shop like that in my area! About as close as I get to that is Ikea and that is more of an organizational inspiration- though I must say they have cool stuff to make projects with as well...just not vintage cool. I wish I had a favorite store! We live in a pretty compact and very expensive area, so it's hard to find shops like this close by. Plus, with two little ones right now, it's dangerous to try and go near nice stores.....too many breakables. We do like to walk around in Old Town Alexandria (VA) on occasion when we're out on a date, before or after the meal, to look at the shops there, always interesting stuff to see. I don't have a cool store like that around here either! I would, of course, have to sign my paycheck over to Simple Things if I lived anywhere near Texas!!! I saw about 400 things I want just looking at the pictures! Thanks so much for sharing the inspiration and beauty with us! No store that sensational around here! I love the lavender chalkboard wall - what a great idea ! 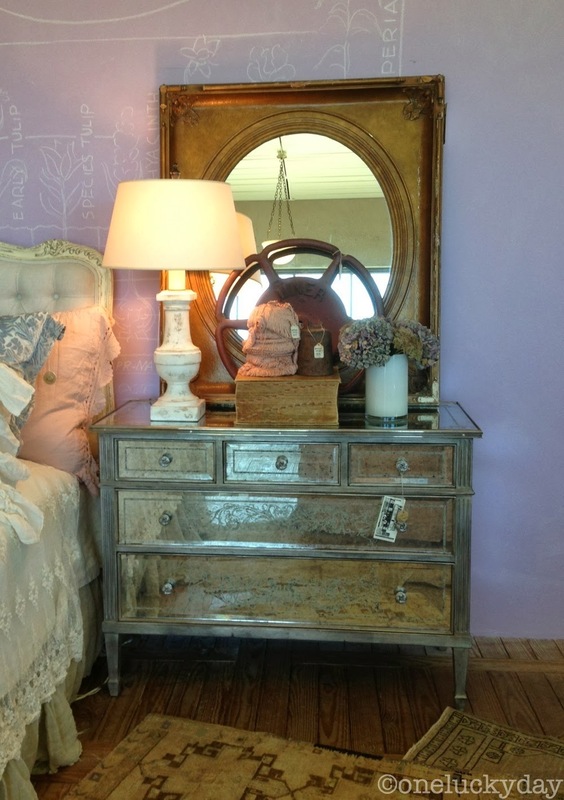 And, the veined mirrored dresser beside it <3!! I have no sensational stores near me so I must live vicariously through you, Paula. OR, I could plan a trip to visit MY sister in Rockwall, TX and see the Simple Things shop for myself. Now that sounds like fun! Thanks for taking us along with you! No, no stores like this that I know of in Montana. Please post more pictures if you have them. Some great ideas! Can the lavener chalkboard wall be changed/erased? yes DD I think it can. Chalkboard paint comes in many colors now! 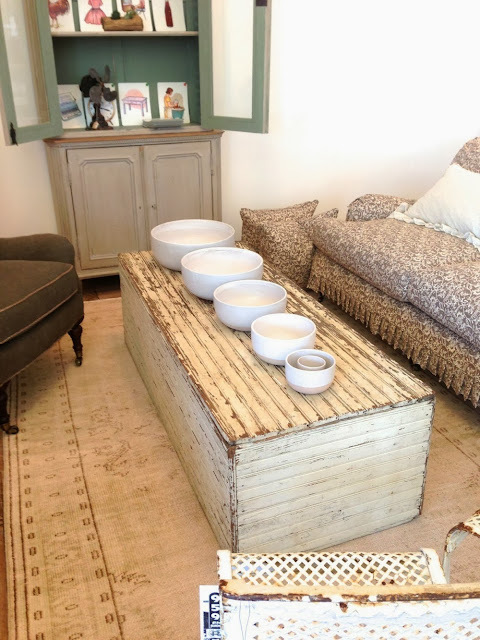 The only cool store we have around here is Anthropology and I love their displays - always imaginative and unusual! I really liked the old book text wall - maybe that's something I could do in one of our bedrooms. These pictures made me drool! Oh, I swooned over that lavender wall with the spring bulbs theme! ...and I don't even care that much for lavender, but it was so pale and just divine! 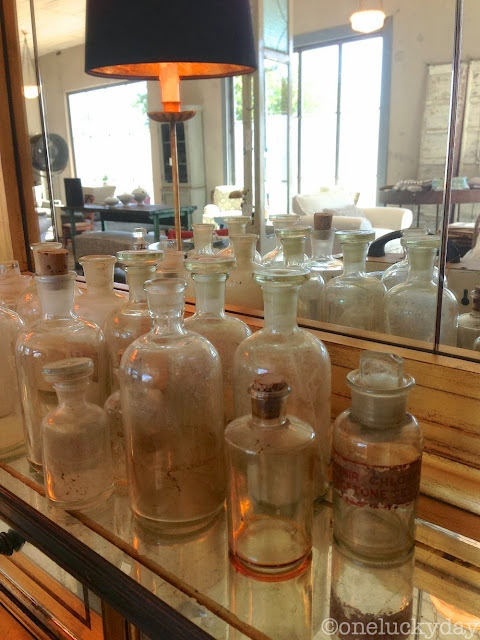 I was captivated by a new (I think) place I found in Tucson called Lion'sGate Antiques. Many times smaller than your find but ever so good. They even had a large stainless steel table that reminded me of a laboratory the last time I was there and it would have been mine except I have no place for it. [hear the sound of tears falling...] Thanks so much for sharing your places with us. Thanks for posting this - now I have to get out there! One of my favorite stores is Golightly's Gallery in North Richland Hills. You should check it out the next time you are here, if you haven't already. yep, I am a regular there. I stopped in last week and bought a couple small things. They are decorated for Christmas so the shop is extra beautiful. I want the dress under the American flag! What great storage! I love everything about the store. So many great ideas and everywhere you look there is something else to challenge the mind. If I ever get down there I am making it a "must see" on my trip. Thank you for sharing. 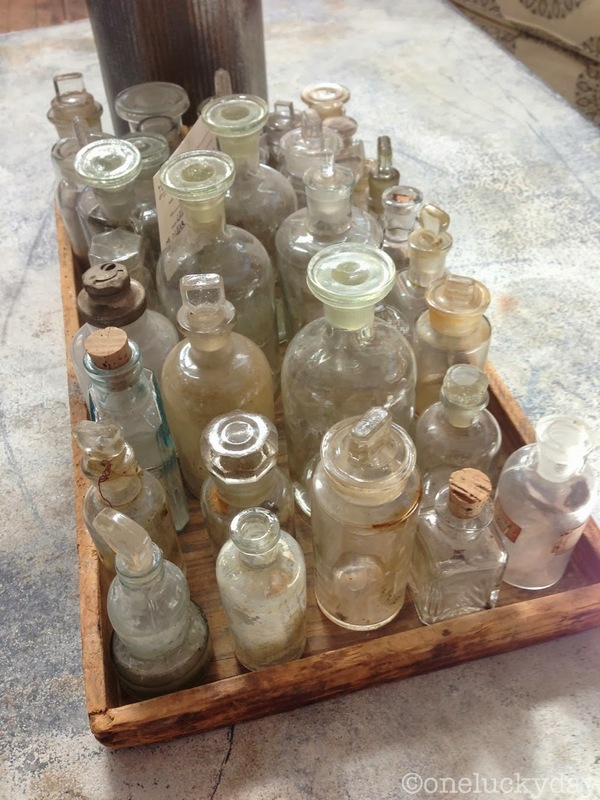 We have several antique stores in our area but they are junkie! I am thinking about a seasonal store called Rocky Ridge that is a pleasure to visit! It is on a farm where they grow apples. The store is small but overflowing with character. Hot mulled apple cider greats you when you walk in. They make it themselves. A large variety of apples, there are jams, honey and other items to buy! What I like they have antique furniture for displays, feed sacks draped from the ceiling and antique metal signs on the wall! Once a year they open to crafters and it is a day of fun for young and old alike! The apple farm is located in North Western PA south of Kane. Old Bryan Market Place in Bryan Texas. It is in an old brick building with wonderful wood floors and inspiration at every turn. It also has a great restraunt tucked in one of the corners. Always fun. Ok, How come I don't know about this place? I am only 20 minutes away from Benbrook and my FIL, MIL, and my Aunt all live there. Thank you Paula! I can't wait to go check them out. There is this a darling shop in Old Town, Burleson, TX., called Prairie Thyme. Joan, the owner is so sweet and has an eye for cute Vintage knick knacks. Love that store! If you are ever in Texas you must go to First Monday Canton Trade Days. It's open one weekend a month and it is absolutely my favorite Flea Market. Its huge and to see it all may take 3 days. It is coming up this weekend, I usually go on a Friday but everyone tells me that it is now open on Thursday through Sunday! If you go, check out Laurianna's on the main drag. OMGoodness, it's Fab! Hi Laura, I have been to Canton many times over the years. Wish I could have fit it in this trip but it was a no go. I will tell my sister about the place in Burleson so she can check it out. Wow I have to say, What an awe inspiring pathway of design! I love the combining of old and new. I love all the old pieces of history blended into the different themes. How creative and moving. Thanks for this beautiful post. 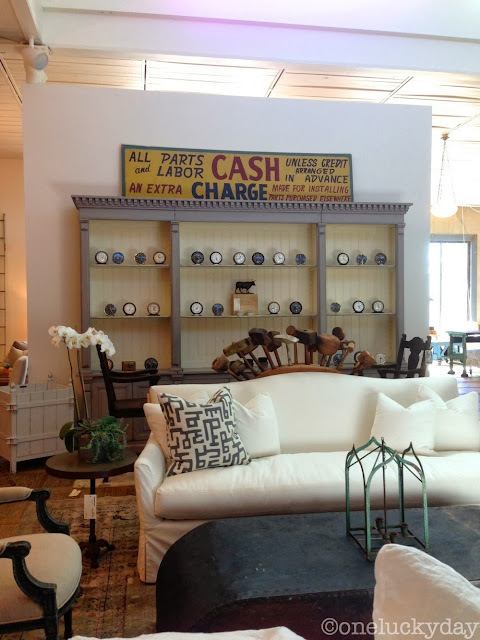 I have to say there are a few cool antique stores in Petaluma, CA. I do love the town itself and all the old buildings they kept intact. Thank you again! Love your blog...beyond words. I was just up in Petaluma in July (BIL lives there). 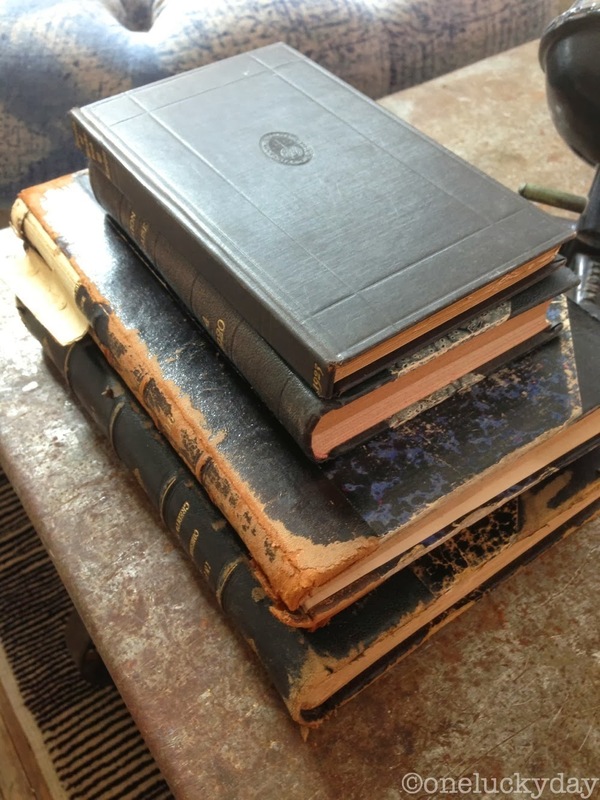 I do like the antique shops in downtown and also Antique Society just a few miles away. Alas, no stores around in my area. An hour from stores in any direction. If we had something like this I would try to work there just to leave my entire check there. What an adventure you are having...wish I was there! It's about an hour south of me, but I love to go and wander around Sarasota Salvage. They get some really cool, can't live without it stuff. (I sent you an invite to their page!) 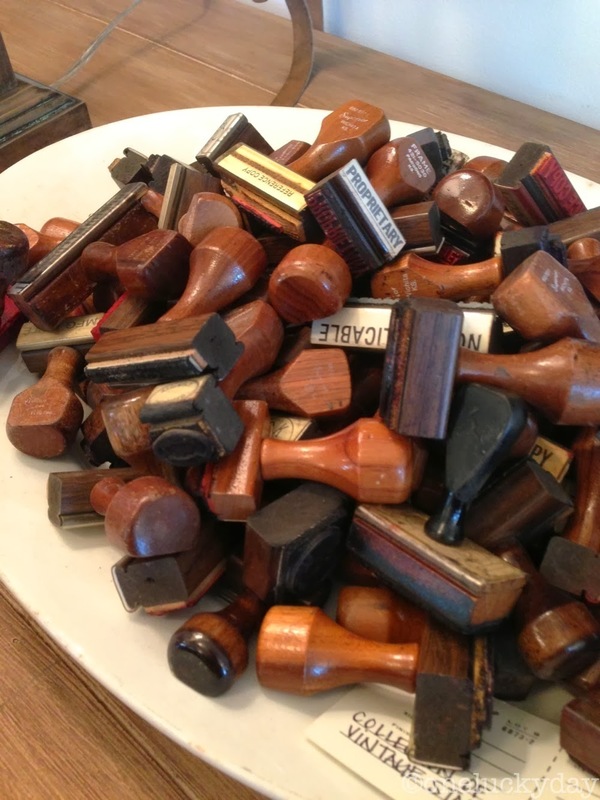 So how many of the vintage rubber stamps did you walk out with?! I coulda used one or twelve of them!! Ah, Sue I did not buy any of the stamps as they were being sold as a collection. I do have quite a lot of them already though! I will have to take a look at Sarasota Salvage page thanks! I live near Lake Erie (PA)and we have a fabulous store here called Romantique Boutique,not quite on the scale of your favorite store but it is always full of inspiring displays and fabulous rustic,shabpy cool treasures! We have an antique store called "Jeffery's"..it is such fun to wander through the past and see all the things from days gone by..but also a bit scary when they are calling things from MY childhood..ANTIQUES! WOW! That place is amazing! I don't think we have anything like that here...It's odd, but my favorite place is the UW Swap Surplus store. It's only open every once in a while and they have all kinds of surplus items from the University. I got an amazing card catalog there! 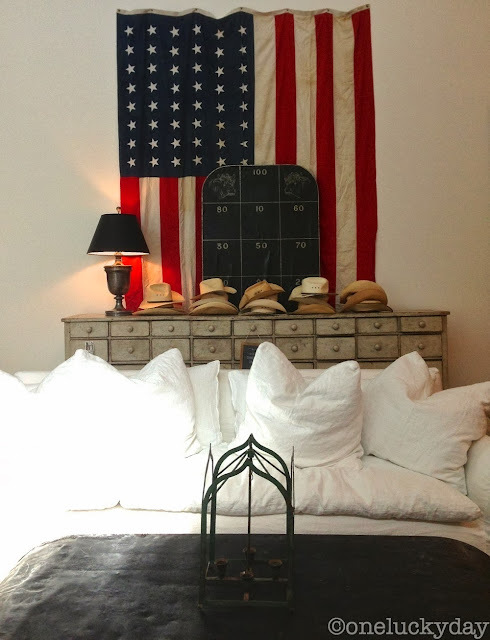 Ohhhhhhhhhhhh, my favorite shop ever is Patina Green in McKinney, Texas. Also, First Monday Canton. It's the best ever. Also love Anthropology. Love "shopping" at my friend, Sarah's home, too. I'm definitely going to take a trip to this sweet shop you featured. It's TO DIE FOR. I just had lunch at Patina Green Sue! Love that shop! My favorite store in the Detroit, Michigan area is Detroit Garden Works. It is full to the rim with great design, antique garden goods and has a wonderful color palette. The store layout itself is a work of art. It's beautiful, calm and filled with inspiration. 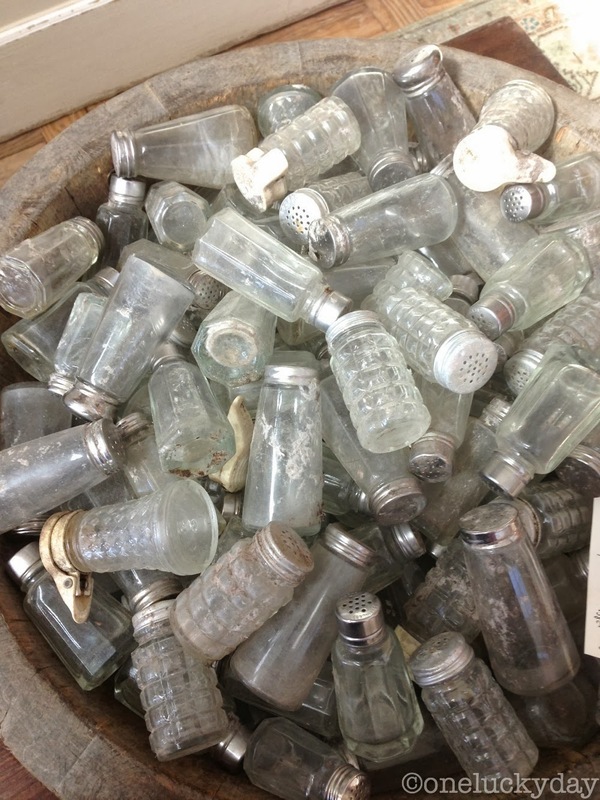 The closest thing for me would be Marburger Farms Antique Show in Round Top, Texas. It's only open for two weeks in April and then in October. It if filled to the brim with vendors that have all kind of wonderfulness like Simple Things. 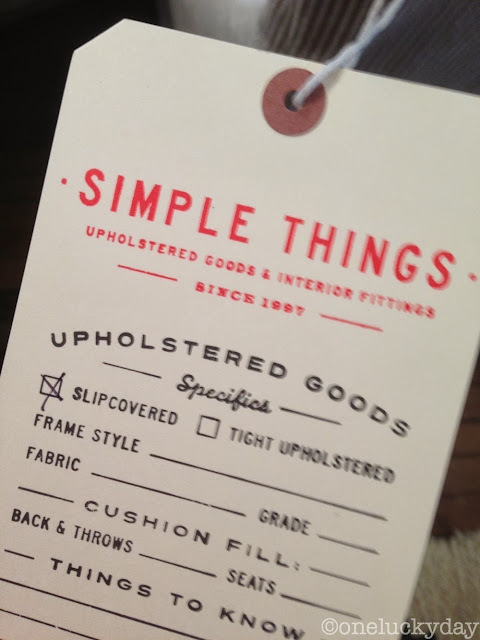 I have not affiliation to the Vintage Round Top but you should check out their website. 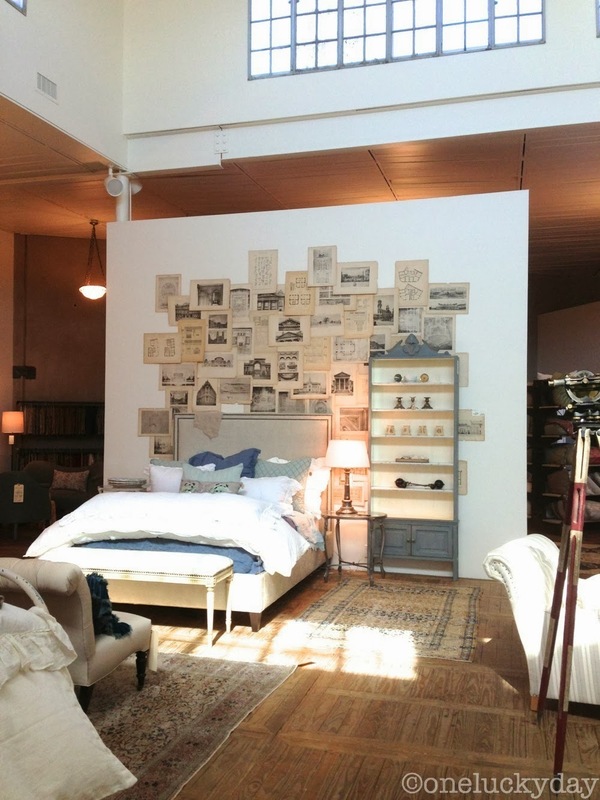 It's a bed and lodging in Round Top that has every room "re purposed" like Simple Things. 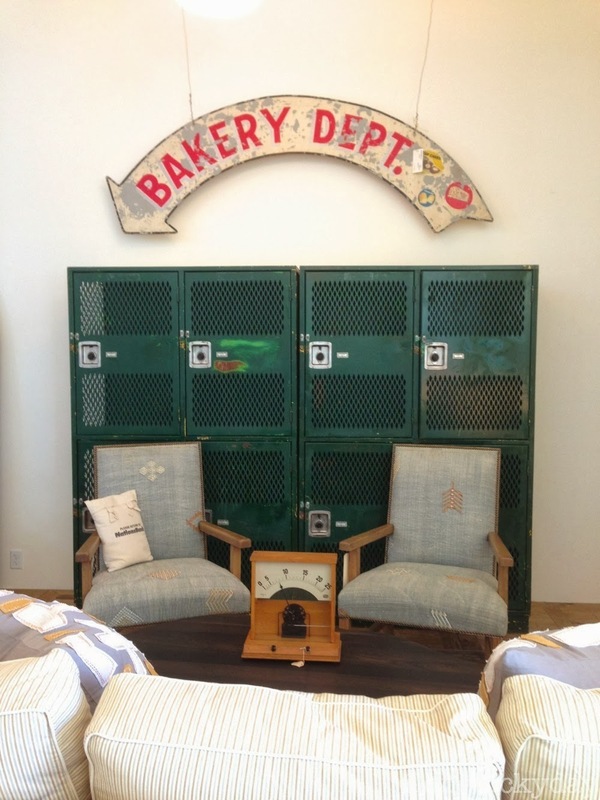 My favorite store is only open four days a month here in Phoenix, Sweet Salvage is amazing! 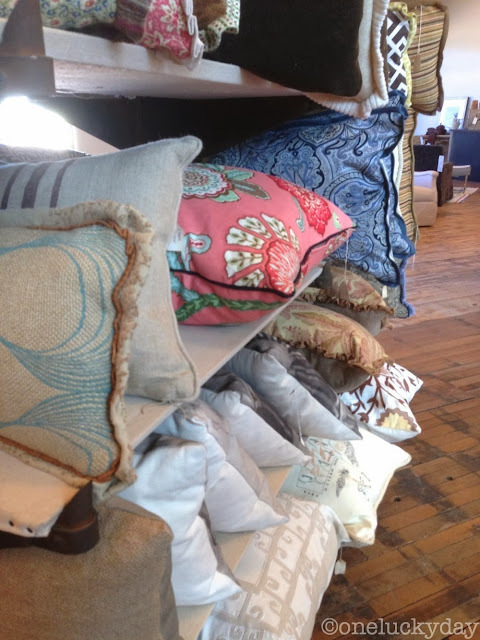 Each month the entire space is transformed and goodies brought in all have a central theme. Some months I leave spending just a few dollars, but my wallet is often much(much) lighter when I leave. The girls that work there are so friendly and they are just as excited about junk as I am! 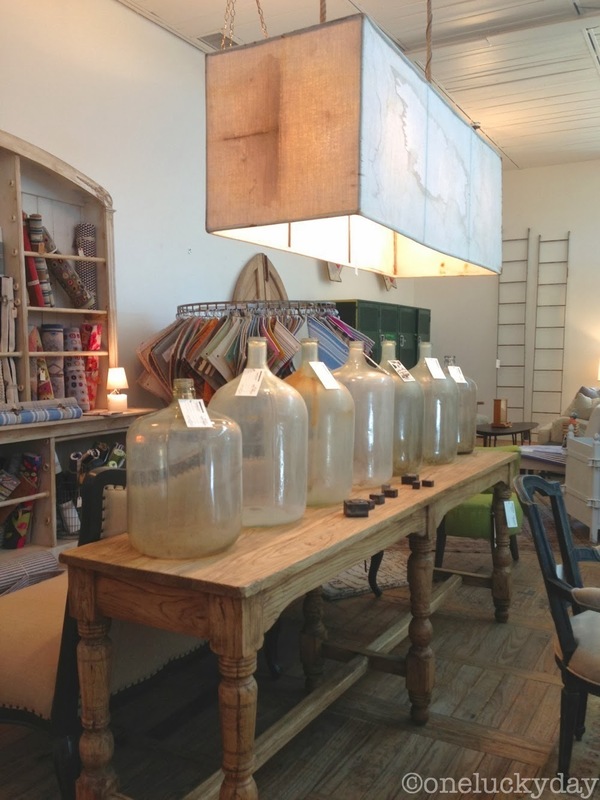 Another favorite is the Market at Urban Restoration. Mike and Leslie are some of the coolest people I know and their store is awesome. I have had the pleasure of going to Sweet Salvage twice so I know what you mean. Love that place and I always find something good! I know Mike and Leslie but I haven't been to Urban Restoration yet! My favourite store is called 'Cosi Fan Tutte' here in NZ. (www.cosifantutte.co.nz) They have 2 stores, one in Christchurch and one in Auckland. The Auckland store has just moved premises so hoping ito visit in the next few weeks. I live in Tauranga (about 2.5hrs drive). 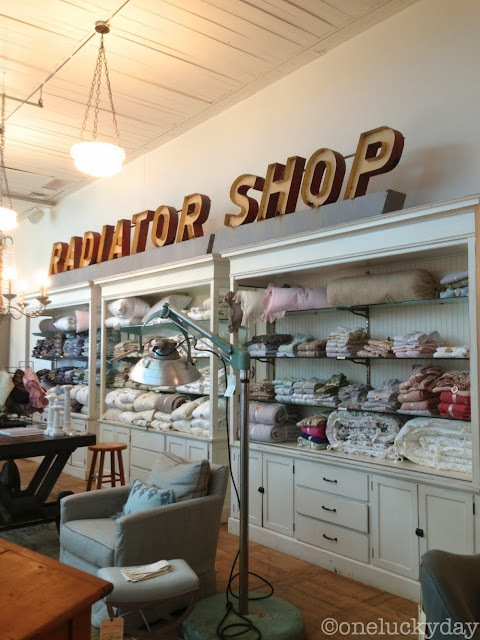 The owner has such an eye for the detail in the layout of the store, kinda french style with shabbychic thrown in, always feel so inspired, warm and comfortable when I visit. Can never walk out with out buying something.